The Admiral cultivated the Spurs standard of greatness whose reign more than two decades. By 1987, the Spurs looked to be a thing of the past. A bevy of losing seasons, low attendance, inconsistent coaching and managing left the Silver and Black with little to look forward to. When David Robinson entered the 1987 NBA draft, the Spurs saw their future. It would take two years to get The Admiral to San Antonio, and then another decade until the first championship. The road was not always smooth and the view was not always pretty. There were many involved — some who were Spurs from the beginning (Sean Elliot), those who would never quite fit (Dennis Rodman), and those who would continue to make their way until it was just right (Avery Johnson). But one thing was consistent from 1989 until 2003 — if your team was playing the Spurs- you were in Mr. Robinson’s neighborhood. Once he hit the hardwood, Robinson lived up to his potential. In his first season, the Spurs had the single greatest turnaround in NBA history: 35 games. For his role, Robinson earned the Rookie of the Year award. The Admiral also made the All-Star team, and earned All-NBA Third Team and NBA All-Defensive Second Team honors. 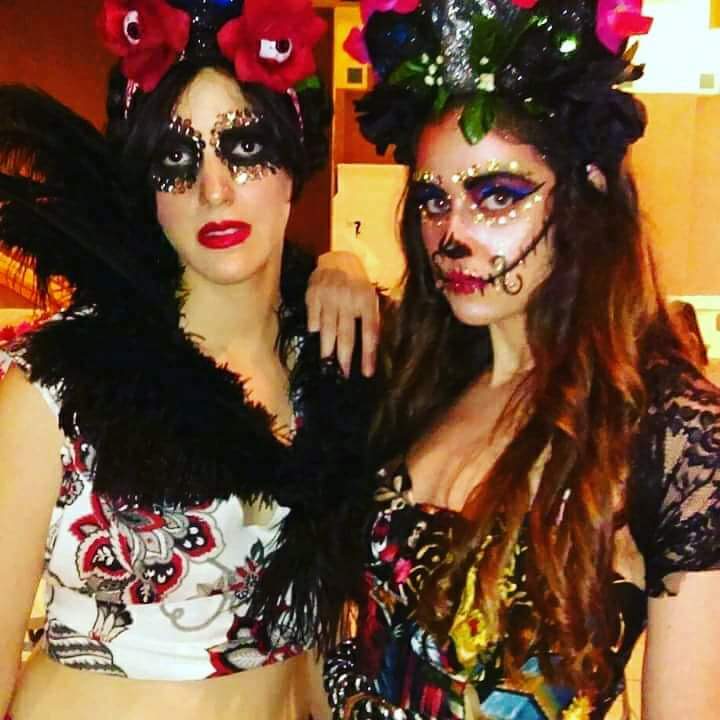 The Spurs swept the Denver Nuggets in the first round of the playoffs before falling in the second round to the Portland Trailblazers in a Game 7 overtime thrillfest. Robinson won NBA Defensive Player of the Year in 1992 and NBA Most Valuable Player in 1995 while racking up yearly All-Star performances, All-NBA honors, and All-Defensive Team selections. He led the NBA in rebounding in 1991, blocks in 1992, and scoring in 1994. Robinson’s athleticism was revolutionary. Up until this period, big men typically played with their backs to the basket, but David could turn and face his opponent, set himself, and explode with effortless speed. Quickness, agility, and accuracy made The Admiral lethal at both ends of the court. Offensively, Robinson spread the defense. His speed provided for an additional avenue of attack: leaving the lane for him to drive the lane or pass to an open teammate. A seven footer slashing and setting guys up? It took his opponents off guard and altered the role of the center. Defensively, The Admiral could block a shot at the rim, slap the ball to Johnson, and then run the court to put a back poster-worthy slam dunk — regularly. Night after night, Robinson turned defense into offense and Spurs fans were treated to highlight reel performances. And Robinson brought the best out in his teammates. 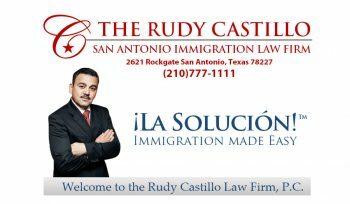 This is when San Antonio became a destination for players. The Admiral cultivated an atmosphere of greatness that has continued into a third decade. A quick trip to YouTube reveals how powerful he was. Although most clips showcase his blocking and dunking, you need not further than his monumental quadruple-double game to see the extent of his talent. On Thursday, February 17, 1994, the Spurs hosted the Detroit Pistons at the Alamodome. The Admiral went for 34 points, 10 rebounds, 10 assists, and 10 blocks. But it’s the variety of shots he used that was so impressive. David could shoot from close range while doubled-teamed just as readily as he could drop in an 18-foot jumper. Both his blocking and rebounding are a result of his relentless pursuit of the ball while exploiting his opponents weaknesses. Tirelessly, Davis pounded away as his opponent slowly faded through exhaustion. He led his team by example, earning trust and respect from all who joined him. 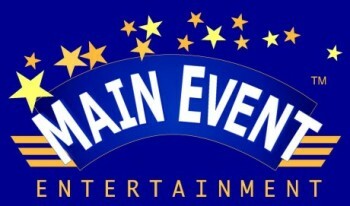 In an era when Michael Jordan was battling to overcome Magic and Bird. The Pistons were reveling in being unlikable. Shaq was creating a narrative that would allow him to act out throughout his entire career. Latrell Sprewell was…well, let’s just say he wasn’t grooming himself to be a motivational speaker. The NBA was creating a me first culture and the best players left their teams from greener pastures, but Robinson shaped a team mentality steeped in a positive attitude. When a contest did not go in favor of the Spurs, Robinson took the burden on his shoulders, always looking at what he had failed to accomplish during the game. David did not point fingers, yell at teammates, or pack his bags. 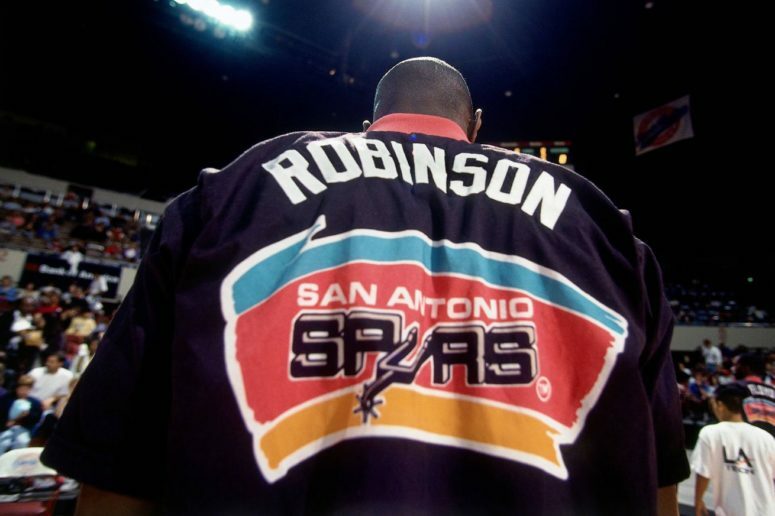 It cannot be overstated how essential Robinson’s character has been to the Spurs, San Antonio, and millions of fans. Year after year, Robinson’s individual greatness was documented, his teammates bettered themselves through his leadership, but with each passing year the Spurs’ playoff run would end short of their goal. With the ultimate prize yet to be achieved, the Spurs fate took an all too familiar turn. A sprained back and a broken foot limited Robinson to just six games in 1997-1998. 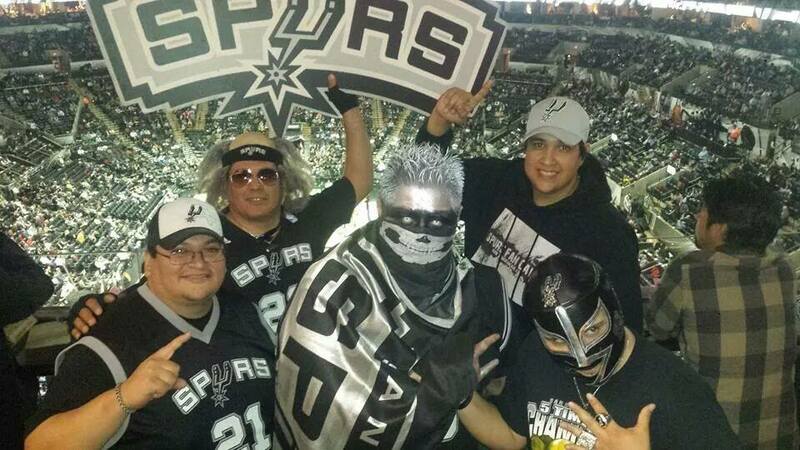 The result was a 20-62 record, but as Spurs fans know, it’s often darkest before the dawn. Just as with the Spurs previous losing season, San Antonio got the luck of the draw and claimed the NBA first lottery pick. In the same way David Robinson had come to the Spurs, the Tim Duncan was drafted by San Antonio. Once again, Robinson — along with his new “Twin Tower” — would be involved the greatest single-season turnaround in NBA history. 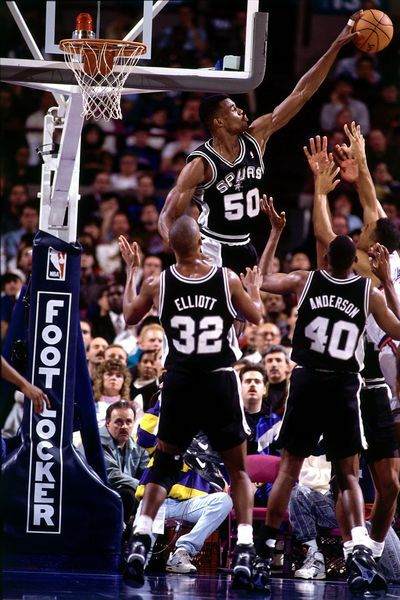 It is at this point that David Robinson would pull the most Spursian of feats. In a most unselfish fashion to which very few superstars would agree to, The Admiral took the rookie under his wing, taught him the ropes, and then handed him the reins, all in one season. There was no drama; no bitterness — only the camaraderie of teammates fulfilling a common goal. 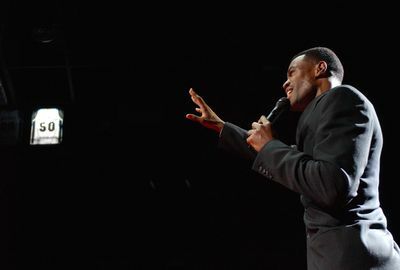 In a time when the individual greatness of players was being showcased in commercials, video games, in the media and on the court, David Robinson set an example through his selflessness. With his individual greatness undeniable, his personality allowed for a team-first mentality leading him to secure a trip to the NBA Finals. Along with Tim Duncan, Avery Johnson, Sean Elliott, Mario Ellie, Malik Rose, Steve Kerr, Antonio McDaniels, Jerome Kersey, Will Perdue, Jaren Jackson, and Gerard King, Robinson brought San Antonio its first NBA Championship. In eliminating the Knicks in five games, the Spurs became the first ABA crossover team to win an NBA Championship. Two years later, David was awarded the 2001 NBA Sportsmanship Award, decorating the player who “exemplifies the ideals of sportsmanship on the court with ethical behavior, fair play, and integrity.” A true reflection of Robinson’s ability to be “over himself” as well as maintaining the honor and dignity that he had exhibited since stepping out from the Navy into the limelight. In 2003, Robinson announced his retirement, and the Spurs went on to win their second NBA title — on Father’s Day , no less — allowing the future Hall of Famer and two-time Olympic Gold Medalist to end on the highest point of his career. While out at dinner with my family one evening, we found ourselves seated at a table next to Robinson. We heard him speak passionately about Carver and what he and his wife were working to achieve. Even years after the school was in operation and had joined with IDEA, Robinson was still active in the day-to-day operation of the institution he had founded. He was polite and gracious to each individual who stopped by. 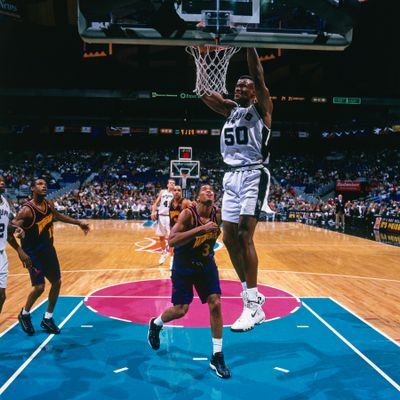 In 1996, Robinson was listed as one of the 50 Greatest Players in NBA History. This, just like so many accolades, is part of David Robinson’s enduring legacy. But The Admiral gave Spurs fans so much more. He gave a city hope in a time of despair. He gave the breath of renewed life to a winded team. He gave the Spurs two championships. Most of all, he gave himself — and he continues to. Robinson defined the Spurs dynasty by modeling the team mentality that elevated the Spurs to unequalled heights. The Admiral is forever immortalized for shaking the Spurs from their past, remaining present, and taking the team into the future. 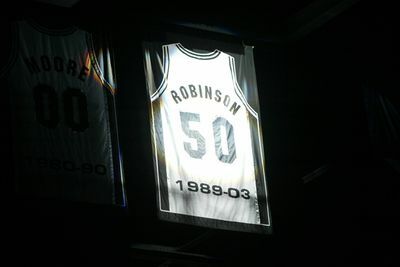 And for that, on November 10, 2003, the Spurs retired David Robinson’s #50.